الخيار الأفضل للحصول على المتعة والاسترخاء، Mantra on Frome Hotel يقع في منطقة رائجة من أفضل مناطق المدينة. يمكن من هنا للضيوف الاستمتاع بسهولة الوصول إلى كل ما تقدمه هذه المدينة النابضة بالحياة. إن سهولة الوصول من الفندق إلى المعالم السياحية الشهيرة الكثيرة في المدينة هو استثنائي بحد ذاته. إن الخدمات التي يقدمها Mantra on Frome Hotel تضمن للنزلاء إقامة مريحة. إن مكتب الاستقبال على مدار الساعة, مرافق مخصصة لذوي الاحتياجات الخاصة, تخزين الأمتعة, صف السيارات, خدمة الغرف هي جزء فقط من الخدمات التي تميز Mantra on Frome Hotel عن باقي الفنادق في المدينة. في الفندق غرف نوم يتجاوز عددها 72، كلها مجهزة بعناية وجمال وبعضها مزود بـ بياضات, مناشف, غرف لغير المدخنين, مكيف هواء, تدفئة. يمكنك طلب اللائحة الكاملة للخدمات في الفندق ومن بينها تدليك, غرفة ألعاب. مهما كانت أسبابك لزيارة المدينة، فإن Mantra on Frome Hotel هو الخيار الأفضل لإقامة مثيرة وممتعة. يقدم المطعم الموجود بالموقع وجبة الإفطار من الإثنين إلى الجمعة فقط. وفي أيام عطلات نهاية الأسبوع، يتم تقديم وجبة الإفطار بالحجز في الجهة المقابلة من الشارع. يخضع انتظار السيارات للتوافر ويجب حجزه مسبقًا. يوجد مكان انتظار بديل للسيارات خارج نطاق الفندق (تُطبق رسوم إضافية). تخضع خدمة انتظار السيارات لمدى التوافر. تقع مواقف السيارات البديلة على بُعد 5 دقائق سيرًا على الأقدام. يبلُغ الحد الأقصى لارتفاع موقف السيارات مترين. لا تتوفر خدمة صف السيارات. Room was large, clean and had everything needed. Parking needs to be booked as limited spaces and spaces are quite small. Great location and staff went out of their way to make our stay perfect. No pool, spa or gym . Hi Kylie, Thank you for taking the time to comment on your recent stay at Mantra on Frome. We do appreciate your very positive feedback and are glad you enjoyed your stay. I hope we have the opportunity to welcome you back again soon. Warm regards Alison - General Manager. Stayed in a family room with a kitchenette and 2 bedrooms. 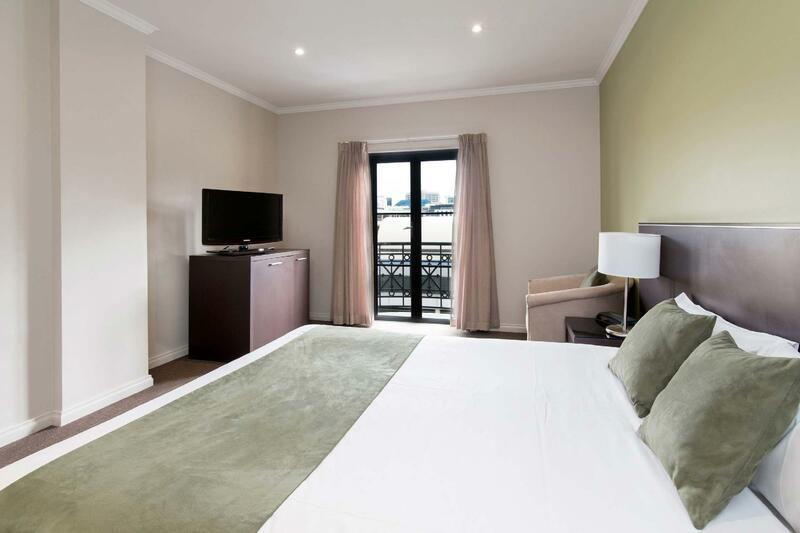 The hotel is located few minutes off the city central and is very accessible. Kitchenette was clean and well-equipped. Too bad we did not get to try the famous restaurant at the lobby. Will greatly recommend this hotel. Needs Airconditioning in each bedroom. No windows in a two bedroom apartment. Hot and smelly because only one room had a door that opened to the outside. No central air con. One wall unit in living room supposed to cool a two bedroom apartment? No window or exhaust fan in the bathroom!!! No air anywhere. Awful. Whole place smelt terrible due to lack of air. Beds in 2nd bedroom were as narrow as hospital stretchers. Teenage boys could not fit on them. Lovely staff, though, they must put up with a lot of complaints. The 3 bdrm apartment was clean and very spacious for my family of 6 adults. The location is very conveniently located and the staff was friendly and professional. I actually did not expect housecleaning for the apartment for 3 night stay, so that was an unexpected bonus. Clean. Great location. Surrounded by nice restaurants. Parking available. Good amenities in the appartment including washing machine and dryer and a small and functional kitchenette. Staff were incredibly helpful. I would definitely stay here again if travelling to Adelaide again. 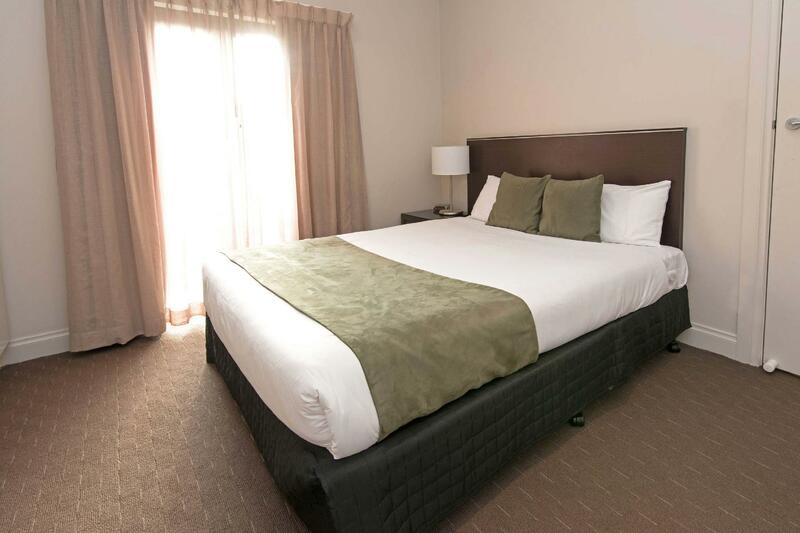 We travelled as a group from QLD, Vic and New Zealand for the day/night test match, and while other hotels had drastically inflated their prices, the Mantra on Frome was still great value. We had a 2 bedroom apartment with 2 queen beds, but they moved us to a 3 bed configuration when it became available. The service and location was great, and it made our visit to Adelaide so much more pleasant and affordable than it could have been. 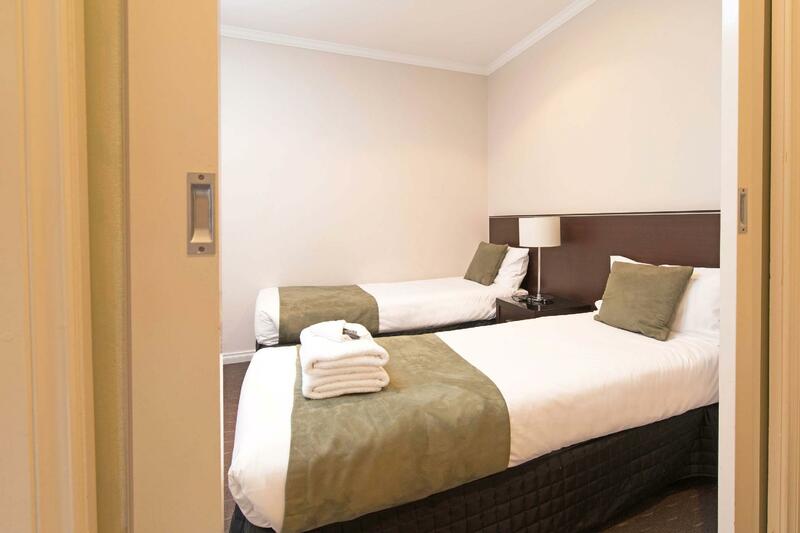 Me and my family (4 people) stayed 2 bedroom in Mantra on frome for 7 night. The first 3 night was okey, but the fourth night there was severe water leak from the water tank. The water tank was located in the cupboard in one of the bedroom. I call the reception, and they come offer me exact size room swap and free breakfast for the following morning. The new room that was given to us has problem with the air conditioning and the dryer (washing machine). Air con often has water leaking whether its on or off. When i call the reception , they said its normal and offer me some towel which the towel never came. The room i used before never had water leak on its air con whether its on or off. The dryer also not work properly. Air con is only avalaible in the living room in a 2 bedroom type. Location is very good, staff service is quite good, but my opinion the room need to be renovated. 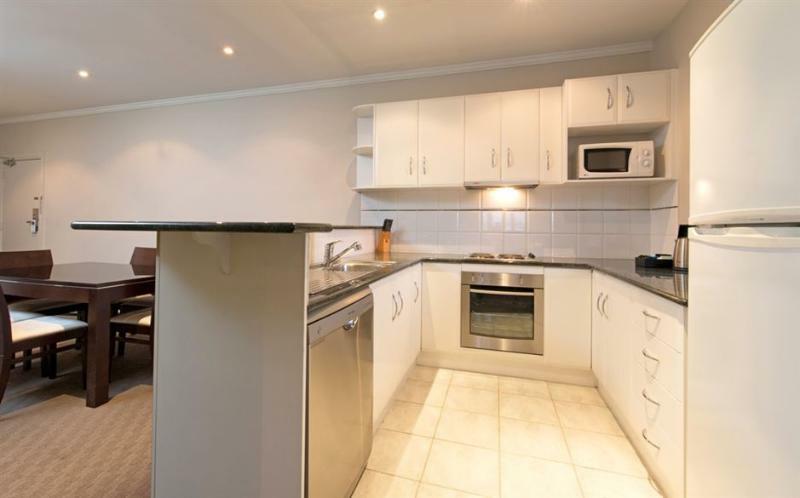 Great apartment- clean well equipped with everything you need. Service was excellent complimentary coffee made at reception, the offer to use the hotels umbrellas. Friendly staff fantastic value! We travelled from Melbourne with 3 kids (10, 7,5). 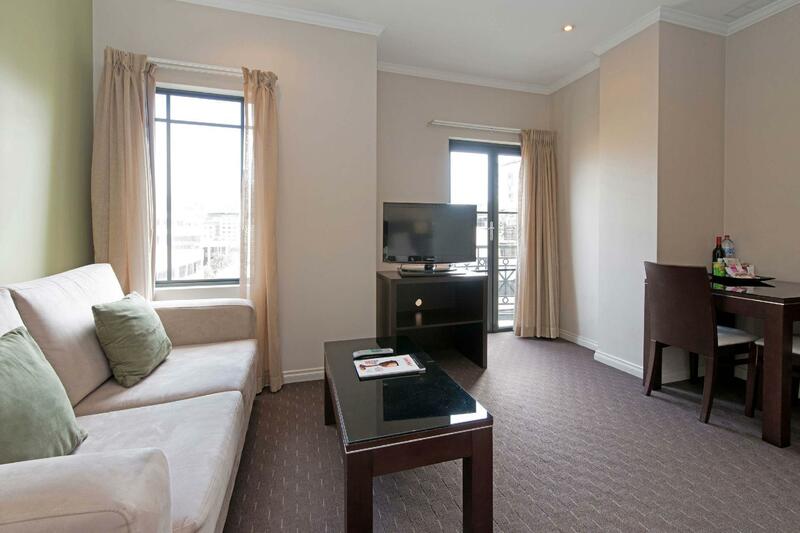 Stayed in 2 bedroom apartment which was clean modern and very well equipped. Including washing powder for washing machine. Had a great big balcony which kids loved dancing. Only thing that would be great is a second tv especially with kids. Hotel staff were lovely and more than happy to help. Definitely would stay again! We are a family of 5 and stayed in the 2-bedroom apartment. It's a little tight but it was comfortable, clean and it had everything we needed - kitchen, fridge, washing machine/dryer, even a dishwasher. For the space, it was very well designed. 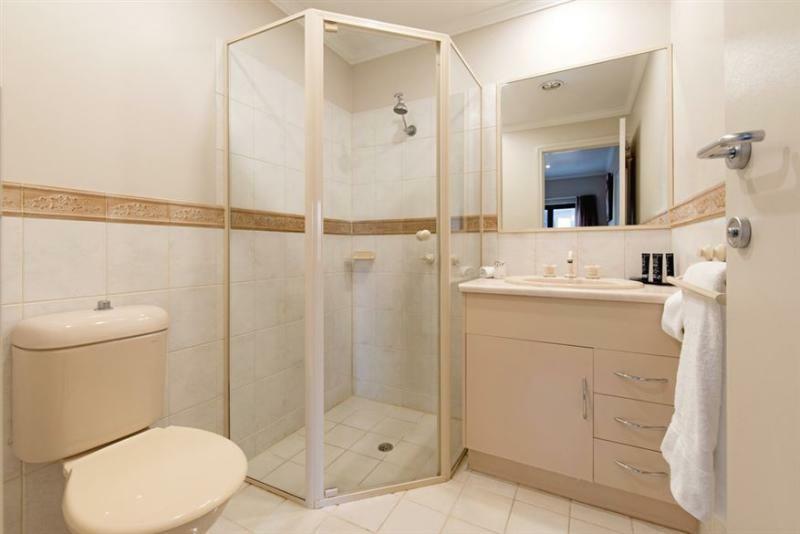 Bathroom was clean and modern and bedrooms too. 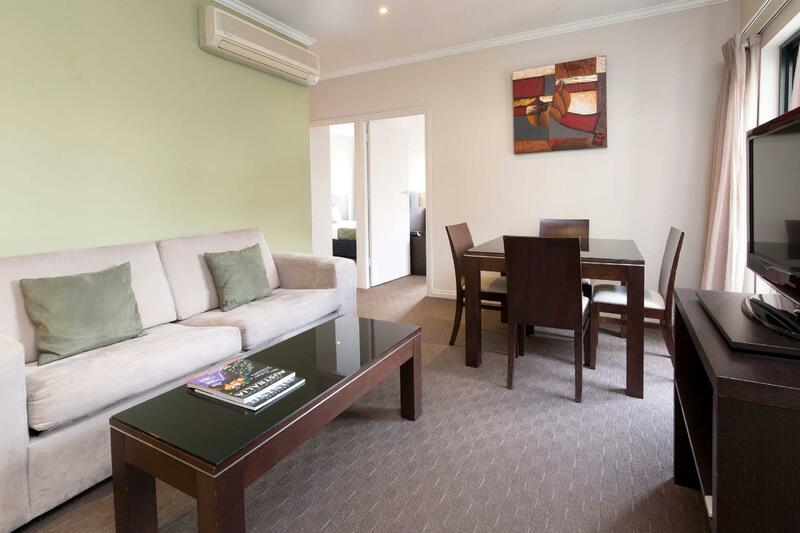 Great location within easy walking distance of cafes and major shopping. For a city location, I would consider it quiet and I am very particular about quiet so that was a huge relief for me at night. It was also close to the airport which is important if there is a morning flight to catch. My daughter left her phone in the hotel before our departure and the staff found it and rushed it to us by taxi. So grateful and wonderful of them! The room was comfortable and spacious and I appreciated the balcony. Good hot water and elevators were reliable. 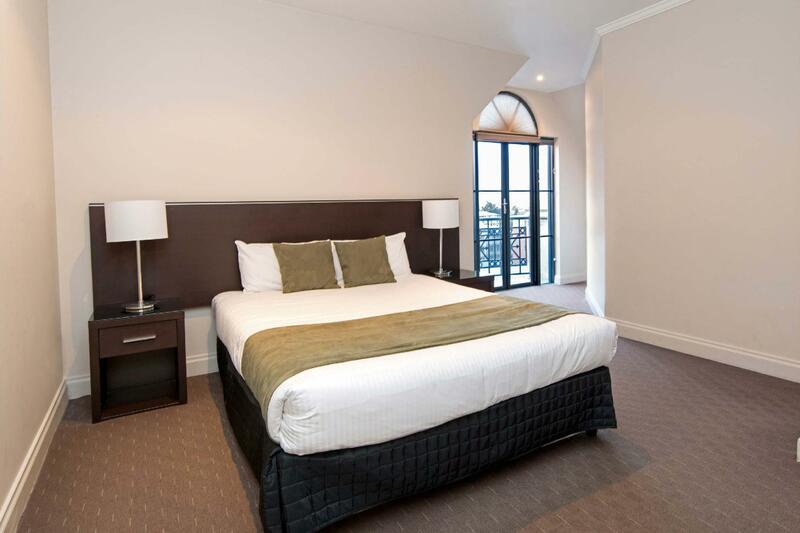 It's a hundred metres away from Rundle Street which is the best part of Adelaide. The staff were competent and friendly. The walls did seem bit thin and I had to put up with a family of foreigners who seemed to hole up in the room the whole weekend and do their cooking in the room. They stayed up until ungodly hours of the morning and were talking incessantly. I made a complaint to the staff and they promised they'd fix it. Overall it's a decent hotel for around a hundred dollars a night but wouldn't pay much more unless I had to. Great value on the 2 bedroom apartment. 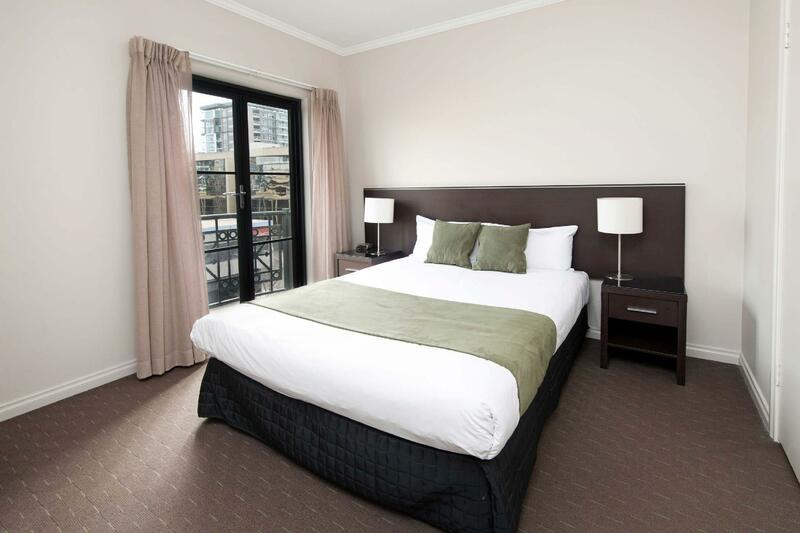 Comfortable beds & huge adjoining balcony. A very short stroll to Rundle street & mall. Express check-in & out very efficient. Great location. But very tired hotel. Untidy rooms and kitchen. Faulty lights in living room, pantry and bedroom were not replaced. All 4 power sockets in the bedroom were not working. The litter left behind by the previous guest in bedside table drawer was not removed. A used tissue paper was stuffed under the bedside table. Food particles were found in the cutlery tray. Stained tea cloth. Water from the shower turns hot and cold throughout. Bed was lumpy and too soft. Room was way to small for four adults. Not enough seating in lounge. Kitchen table needed to be pulled out from wall for all four to sit at and then pushed back when finished using. Bedrooms had very little room to move in. Especially around the bed of room with balcony door. 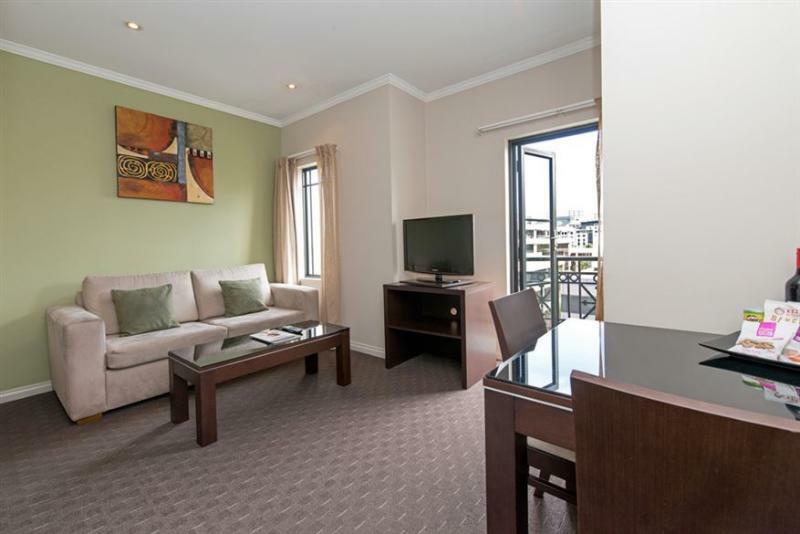 Also balcony door would've been better suited coming off lounge room not one of the guest bedrooms. Overall I was very disappointed in this Mantra.